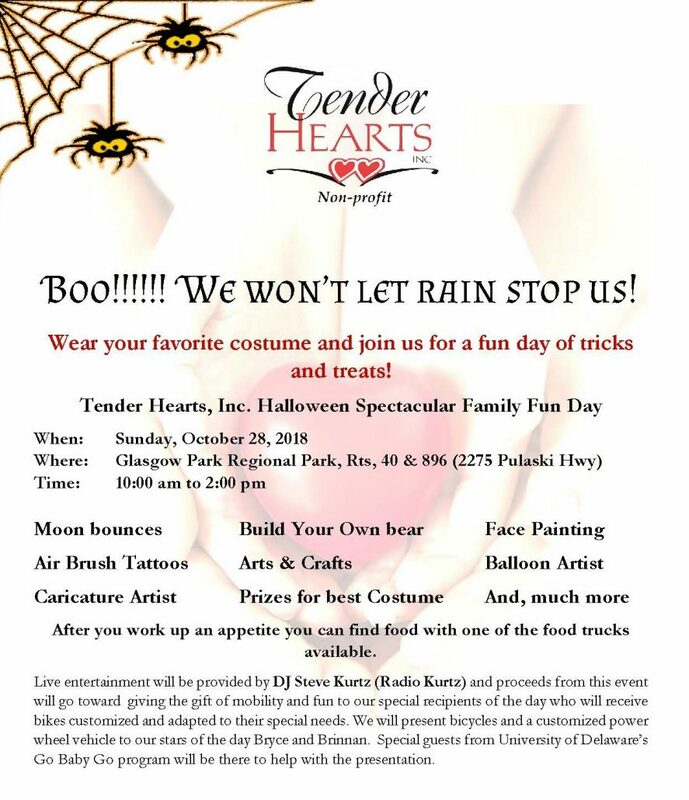 Tender Hearts Halloween Spectacular Family Fun Day – October 28, 2018 – Tender Hearts Inc.
Live entertainment will be provided by DJ Steve Kurtz (Radio Kurtz) and proceeds from this event will go toward the gift of mobility and fun to our special recipients of the day who will receive bikes customized and adapted to their special needs. We will present bicycles and a customized power wheel vehicle to our stars of the day Bryce and Brian. Special guests from University of Delaware’s Go Baby Go program will be there to help with the presentation.